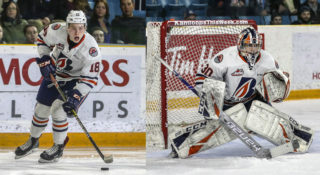 Kamloops, BC – The Kamloops Blazers have two players listed on NHL Central Scouting Midterm rankings. Quinn Schmiemann is 71st and Martin Lang is 162nd among North American skaters. 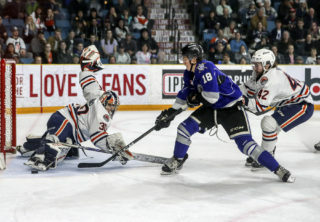 Schmiemann has five goals, 14 assists and 19 points in in 38 games this season with the Blazers. The 17-year-old from Wilcox, SK was selected by the Blazers in the third round of the 2016 WHL Bantam Draft. 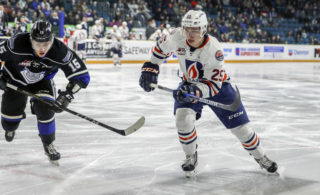 Lang is in his first season with the Blazers and has 10 goals, 18 assists and 28 points in 44 games. The 17-year-old Rokycany, Czech Republic native is 7th in the WHL in rookie points. 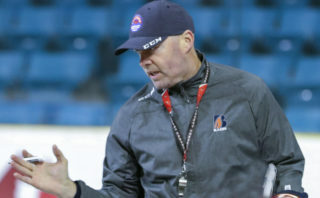 He was selected by the Blazers in the first round of the 2018 CHL Import Draft.